“ Doctor: Mr. Jones, I’ve got your cholesterol levels here. (beat) Okay, you are aware that your blood is not moving? Doctor: This is kind of a strange question. Um. You haven’t been drinking gravy, have ya? Because based on the test results you’re, like, 90 percent meat by-product. If you enjoy getting some laughs, then this book is for you, along with people who love food or can sympathize with being a little fat. I thought the book really encapsulated his take on food, which is somewhat unhealthy, and frowning upon vegetables. For instance, he says that salads taste horrible, unless of course you drown it in ranch dressing, or sprinkle bits of bacon on it. 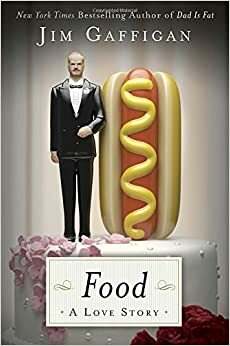 His book is very comprehensive in all of the different types of unhealthy food, from his chapter entitled “Hot Pockets: A Blessing and a Curse,” to “Donuts: The Circle of Life.” Overall, I would highly recommend this book (and his act) to not only the types of people aforementioned, but anyone. The material in this book is also suitable for a general audience, including children.